Mountains affect us powerfully. After traveling to Japan to view Mount Fuji in person, Joel gained a deeper sense of respect for our physical surroundings and the natural world. These mugs aim to create beauty by referencing Japanese culture through abstract, functional artwork. 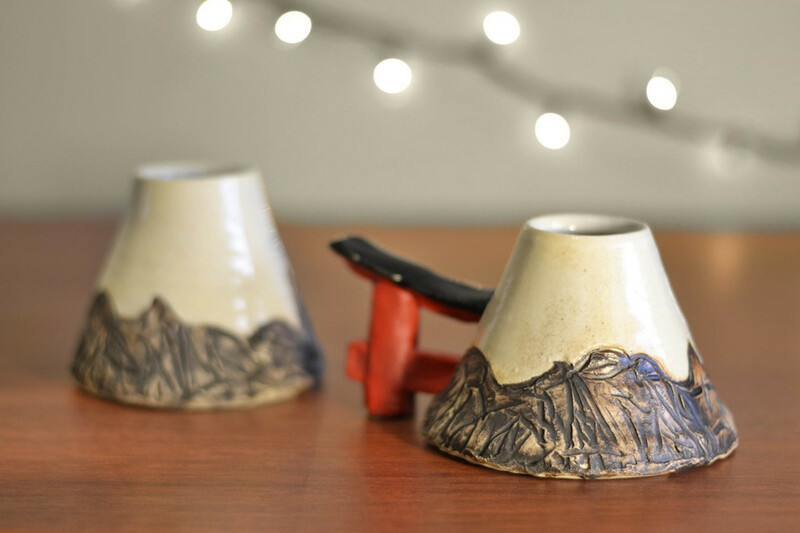 Mount Fuji Mugs require tedious, time-consuming steps to craft a sleek, modern design that still feels rustic. Multiple layers of color and texture to result in truly unique mugs that are almost stand-alone sculptures. The handles for these mugs were inspired by Japanese archways to sacred spaces called "Torii" arches.